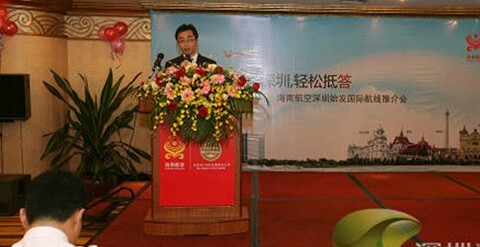 A press conference was held in Shenzhen for Hainan Airlines’ new route to Kolkata in India. Hainan Airlines launched its 20th route this year on 27 September, when the airline began flying from Shenzhen (SZX) on the Mainland China border to Hong Kong to Kolkata (CCU) in eastern India. The service is operated twice-weekly with 737-800 aircraft. So far this year, Hainan Airlines has already launched two new routes from Shenzhen; a domestic service to Hefei and one international to Indonesia’s capital Jakarta.